Are you ready for the challenge? TAD is proud to be involved with Chain Reaction in 2016. We are looking for cyclists who can take on the ultimate corporate bike challenge and support kids with disabilities to ride a bike for the first time in their lives. 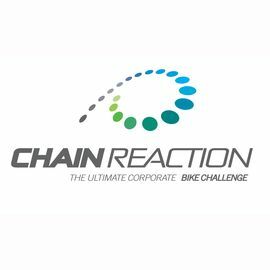 Since its first ride in 2007 Chain Reaction has built the ultimate corporate bike challenge raising over $15 million for charities which support children in need. Chain Reaction is not a mass participation event, instead it is for senior management and executives who have a passion for cycling and an awareness of their corporate social responsibilities. In May 2016 the Chain Reaction NSW ride will be held in picturesque Far North Queensland surrounded by the quiet suburbs of Cairns, historical towns, sugar cane fields that stretch across the region and lush tropical rainforests. Participants will have access to valuable networking opportunities which include exclusive events and training days, pre and post event. You will share the experience with senior executives from some of Australia’s major corporations. TAD is looking for passionate cyclists who would like to take on the challenge and ride close to 1000km’s in 7 days. All cyclists can participate in the tailored training program leading up to the event and group rides are organised, which not only provides networking opportunities but also contributes to group riding safety awareness and camaraderie. Support TAD’s Freedom Wheels program to enable kids with disabilities to feel the thrill of riding a bike for the first time, a milestone that no child should miss. Evelyn on 9912 3406 or ealmeida@tadnsw.org.au.